The year 2017 marked the 40th anniversary of Mr. Cárdenes’s renowned teaching and pedagogical career, which began as an assistant to his teacher and mentor Josef Gingold at Indiana University. 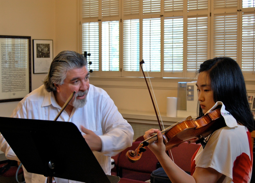 Today, Mr. Cárdenes continues Professor Gingold’s legacy, as a proponent of the Franco-Belgian School of Violin Playing. He traces his musical lineage to Eugéne Ysaÿe and as far back as Corelli. 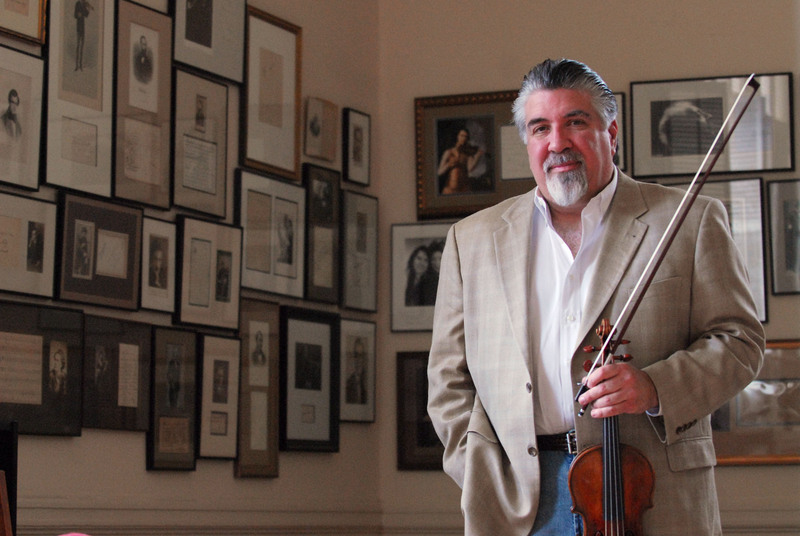 He has served on the faculties of Indiana University, the University of Utah, and University of Michigan, and currently holds the title of Distinguished Professor of Violin Studies and the Dorothy Richard Starling / Alexander Speyer Jr. Endowed Chair at Carnegie Mellon University’s School of Music. He also held a two-year appointment as Artist-in-Residence at University of Colorado, Boulder, ending in 2012. In addition, Cárdenes regularly gives master classes at the Royal Conservatory of Music in Toronto, the Manhattan School, Cleveland Institute, the Curtis Institute, National Repertory Orchestra, New World Symphony, National Orchestral Institute, Montecito Festival, Brevard Music Center, and at virtually every major university and conservatory in the United States. Cárdenes’s list of students includes members and principals of the New York Philharmonic, San Francisco Symphony, National Opera, Czech Philharmonia, Seattle Symphony, Pittsburgh Symphony, Cincinnati Symphony, Utah Symphony, San Diego Symphony, Portland Symphony, Bilbao Opera, Syracuse Symphony, Jackonsville Symphony and the New World Symphony. Read more about Andrés Cárdenes as a conductor, violinist and chamber musician.